This series of talks, co-sponsored by the Roxbury Conservation Commission and the Roxbury Land Trust and funded by a grant from Connecticut Humanities, will explore the many ways people and their cultures have interacted with the local landscape. Professor Thorson has written “…all of culture is supported by ecosystems, all of which depend on…the living rock, the solid earth”. On February 7 he will describe the geological history of Roxbury and northwest Connecticut, and how landforms have influenced human activities throughout history. Professor Thorson is Professor of Geology in the University of Connecticut Department of Ecology and Evolutionary Biology and the Department of Anthropology as well as being Faculty Affiliate in the American Studies Program. 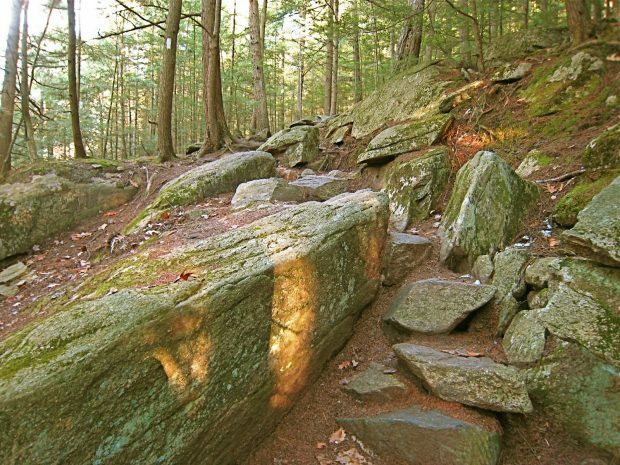 He has written “Stone by Stone”, a history of the stone walls that snake through the woods throughout New England and that unites the histories of New England’s geology, environment, culture and economy with science and passion. More recent work includes a look at the writings of Henry David Thoreau as a keen scientific observer and writer as well as the Transcendentalist and early father of the Environmental Movement.